If you happened to be in attendance during last weekend's 4th annual Sault Ste. Marie Festival of Beer, you may have noticed the banner pictured here hanging in the Canadian Bushplane Heritage Centre. The rather ambiguous (and slightly ominous) message 'Coming for you' is in reference to a new micro brewery slated to open at the location in the near future. 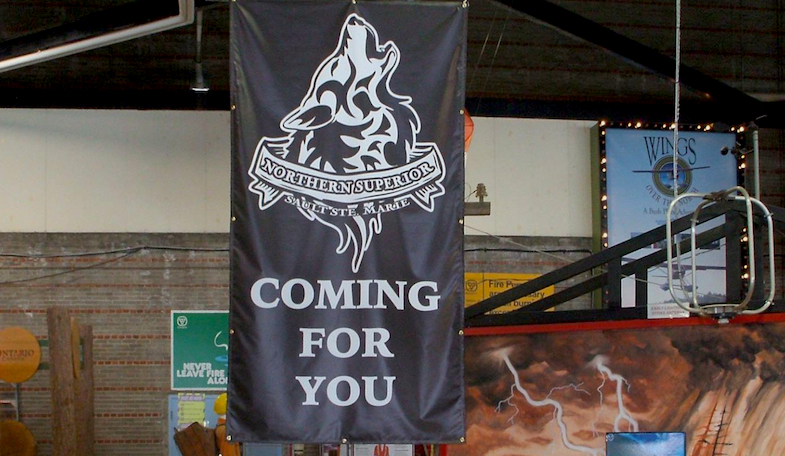 Northern Superior Brewing Company spokesperson Mike Okianski was willing to share few details regarding the forthcoming brewery, but did tell SooToday that equipment is on its way. He said the brewery decided to partner with the Canadian Bushplane Heritage Centre in the interest of "reviving some of the lost local heritage." "It's the only [museum] of its kind in North America, and that's what interested us," he said. The Northern Superior Brewing Company will be the third micro brewery to open in the region, joining OutSpoken Brewing, which began commercial beer production last year; and Union Jack Brewing, which (according to a Facebook post) will be opening "hopefully real soon."